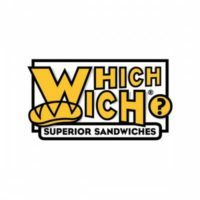 Which Wich is a chain of made-to-order sandwich restaurants in the United States and eight other countries. As one of the fastest growing chains of restaurants in America, it offers many franchise and job opportunities for interested people. You can find a link for a Which Wich application at the bottom. Customers select a bag from bags that are numbered to match items on a menu board. They then select from ingredients which are printed on the bags by marking the bags with a red sharpie before handing it over at the counter. The sandwiches are served in the same bags. Founder and CEO of the privately owned company, Jeff Sinelli, opened the first restaurant of the chain in Dallas, Texas in 2003. The company, which now has over 300 locations, is headquartered in Dallas today. The business has been selling franchise rights since 2005. Today, franchises are available in the United States and abroad. The business is known for its philanthropy. The public is encouraged to contact their local restaurant to ask for participation in fundraising and local charitable events. The sandwich restaurant also donates two PB&J sandwiches for each one that is purchased in its stores. The sandwiches go to world food banks or disaster sites. The company posts corporate level positions on its website when they are available. Some examples of corporate opportunities are Senior Accountant, Franchise Business Consultant, and Director of IT. If you are interested in working for this business at the corporate level, browse the offerings at their website. You will be directed to email your cover letter and resume. In addition to corporate careers and franchise opportunities, there are numerous entry-level jobs available for those interested in working in the restaurant industry with this business. In-store positions are available for Cashier/Sandwich Artist, Shift Leader, Assistant Manager, and General Manager. You can apply online for these Which Wich jobs at the website. How old do you have to be to work at Which Wich? You must be 16 to work at Which Wich. Entry-level jobs with this company don’t require previous experience. You will want to read the job description carefully if you are interested in a corporate career or franchise ownership. This employer offers competitive benefits to management level employees and above, including 401(k) and insurance. Lower level employees can enjoy free sandwiches and a work environment that is full of good vibes. Store hours vary by location. Monday through Saturday 9:00 AM to 9:00 PM, Sunday 9:00 AM to 8:00 PM is typical. Cashier/Sandwich Artist – As a Cashier/Sandwich Artist, you would take customers’ orders, take phone orders, take payments, make sandwiches to order, clean the dining area and the kitchen area, wash dishes, and prep food. Pay for this position starts a little above minimum wage, which is at least $7.25 per hour. Shift Manager – The Shift Manager oversees the staff during the morning prep work or the evening closing responsibilities. The morning Shift Manager prepares the cash register and the food station on time for the day. The night Shift Manager oversees cleanup and closes out the cash register. Shift Managers can expect to earn $9.00 per hour and up. Assistant manager – As an Assistant Manager, you would prepare the restaurant for the day ahead, enter sales and employment information onto company spreadsheets, direct employees, greet customers, close out the cash register, and make deposits. You could expect pay of at least $11.00 per hour. You can fill out a Which Wich application at the website below. General Manager – The General Manager is responsible for hiring the staff, including those who filled out applications online, keeping track of inventory and ordering, approving invoices, and making sure the restaurant is being run to corporate standards. On average, a General Manager with this company earns a salary of $35,000 per year. Have you ever had a job before? This business is a great place for a first job. Don’t worry if you don’t have prior work experience. Make sure you let your interviewer know that you are willing to work hard and learn the job. See their website for a direct application. Have you ever been involved in a fundraising campaign? This sandwich company is well-known for its philanthropy. The public is encouraged to ask for contributions and help with fundraisers and events that help the community. If you have participated in such events, talk about it. It will show that you are a good fit for the company’s ideals. How do you like your sandwich? Be sure that you know what the business does and sells before you come in for your interview. Experiencing the business as a customer will give you a feel for the place, as well. Visit the website at the bottom to download application form. Are you in school? This restaurant chain does hire young people, so they are used to working around school schedules. Be sure to discuss times that you would be available or not during a typical week. You can go to their website to get a printable application for Which Wich. What are your vibes? The company’s CEO, Jeff Sinelli, calls himself the Chief Vibe Officer. The vibe in the stores is intended to be relaxed, laid back, fun, happy, and peaceful. If that sounds like you, smile, and let them know that you will share that good feeling with customers. Get a free application at the website below. If you want to know how to apply for Which Wich online, go to their website through the application links below. You’ll be directed to pick your state. From there you can select between a supervisor or a general application link. You can get an application form and apply for Which Wich jobs online. The company’s founder never wears a suit. It will not be necessary to dress formally for your interview with the sandwich chain. Do show your respect by showing up on time and clean. If Which Wich careers interest you, be sure to fill out an online application at the website. Don’t forget any papers or information you might need, such as your class schedule, or employment references. Apply for jobs at Which Wich by going to the website through the application links below. You can fill out a printable application form and look up your local restaurant while you’re there.